We will spend ten days in Wolf Country. Learning about wolves, looking for tracks and signs and with a bit of luck we will see wolves in their natural habitat. The areas we visit during these ten days are Banff National Park, Jasper National Park, William Switzer Provincial Park and the Rocky Mountain Foothills close to those Parks. 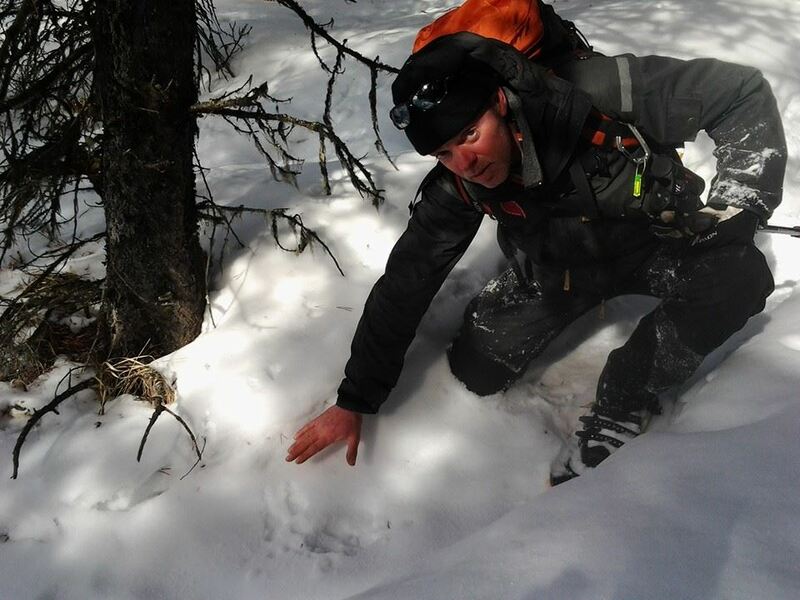 The wolf expedition is part of our Nature & Wildlife Guide -Level 2- Program and our Tracking Program but people can participate without doing those programs as well. Participants can apply for ‘Advanced Tracker’ or ‘Tracking Specialist’, depending on knowledge and skills, without extra costs. The wolf packs are as dynamic as wolf packs anywhere: shifting territories, new pups being born, other members leaving and some dying. No doubt in the coming years some more packs will disappear altogether, others will move in and the picture will change. 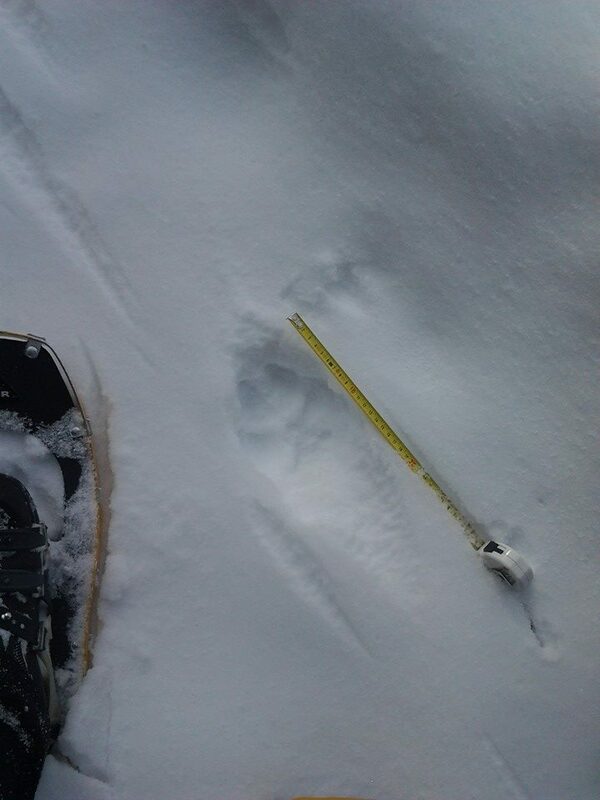 Winter is the best time to see Wolves and tracks are ‘easily’ found in the snow. Temperatures can be far below zero during this expedition so we will stay in Hotels, Hostels, Lodges, Cabins and/or a Guest Ranch during this trip. Exact Time planning and locations depend on weather, short term information and sightings of Wolves. So the schedule below is not ‘sure’. 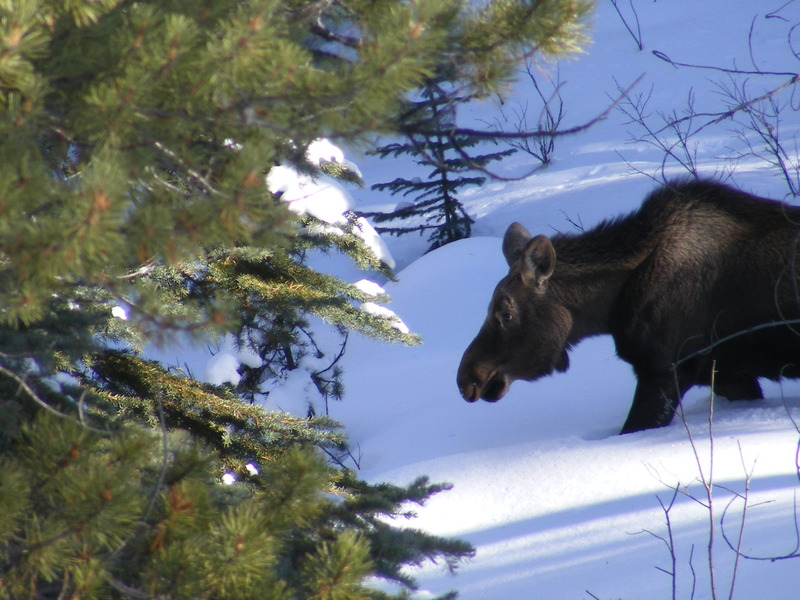 March 9th: Pick up in Banff at 19.00, drive to overnight accommodation in Banff NP . 10th: BNP Bow valley area, with a Guide from ‘Mahikan Trails’. The ‘Bow Valley Pack’ roams this area. 11th: Drive to Jasper NP. Setting up the camera traps in the Athabasca valley. 12th: Scouting the Maligne Valley for the ‘Signal Mountain Pack’ and Hiking (snowshoeing) the Athabasca valley, looking for tracks and signs of the ‘Devona Pack’. This is the biggest Wolf Pack in the Athabasca Valley. 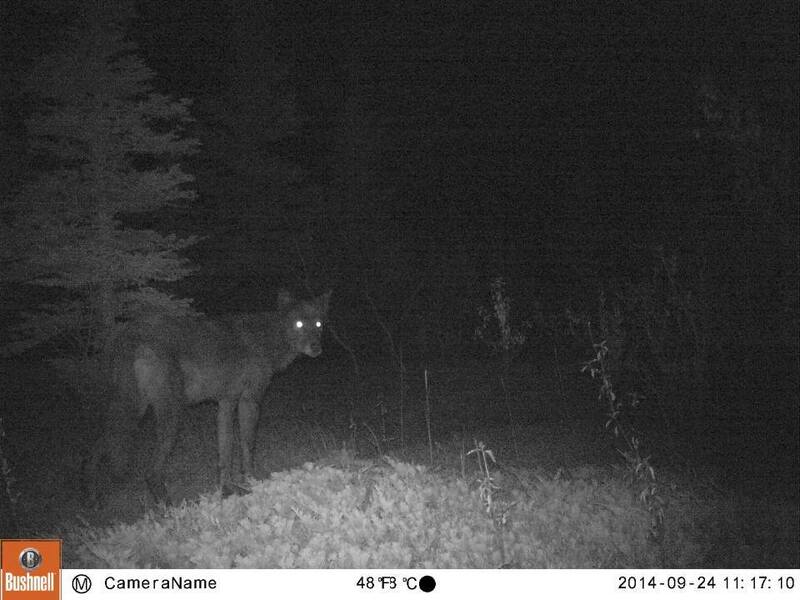 A Timberwolf caught on the ‘camera trap’ in September 2014. 13th: Snowshoeing in William Switzer Provincial Park and the Brule area. Several Wolfpacks roam this area. 14th: Tracking in Rock lake Provincial Park and Willmore Wilderness. 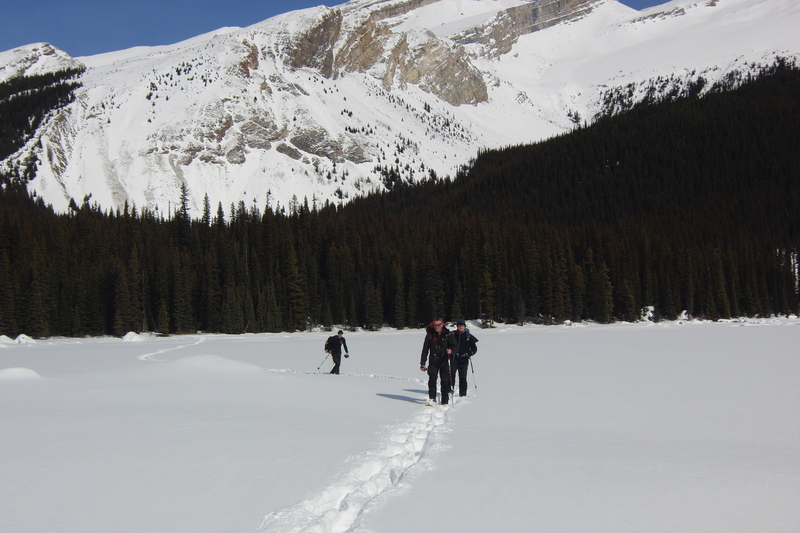 15th: Athabasca Valley, checking the ‘camera traps’ and scouting the area. 16th: Jasper National Park. 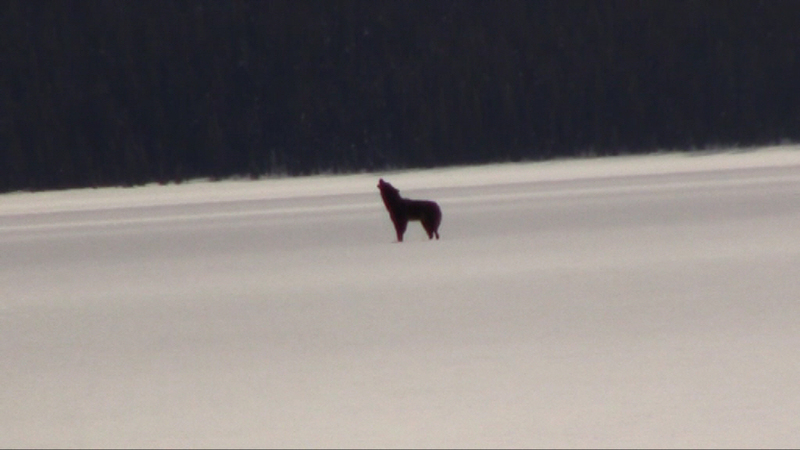 Tracking in the area’s where the ‘Robson Pack’ and the ‘Sunwapta Pack’ have their hunting grounds. 17th: Drive to Banff National Park, scouting along the way. 19th: Travel home from Banff/Calgary. An Experienced Wildlife Guide (or Guides) will accompany the group during the whole expedition. Other animals we can see are Moose, Wapiti, Deer, Lynx, Cougar, Bighorn sheep, Mountain Goat, Bald Eagle and Coyote (to name a few). Including all accommodations, transport in Canada starting at day one in Banff and ending the last day in Banff (from Calgary Airport it is 90 minutes with a shuttle , every hour, to Banff for about CAD 60,- ). Each participant will get a pair of MSR snowshoes for personal use. These snowshoes are yours after the expedition (if you have your own snowshoes and don’t need a new pair, € 75,- discount).